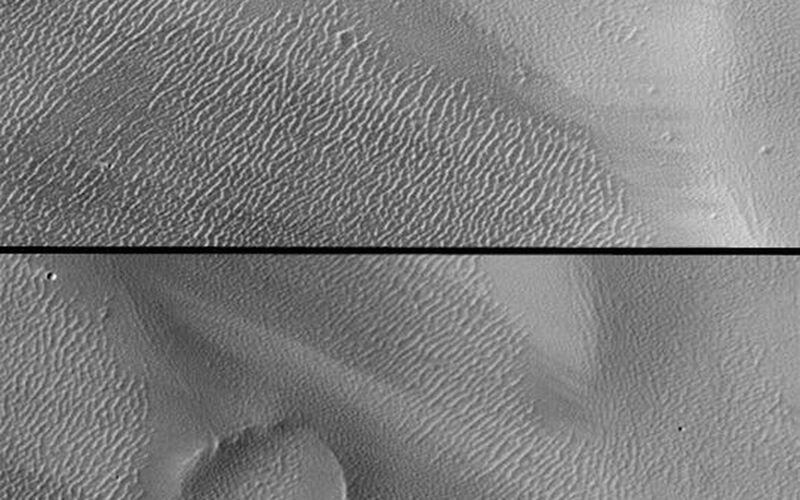 Mars is a dynamic planet. 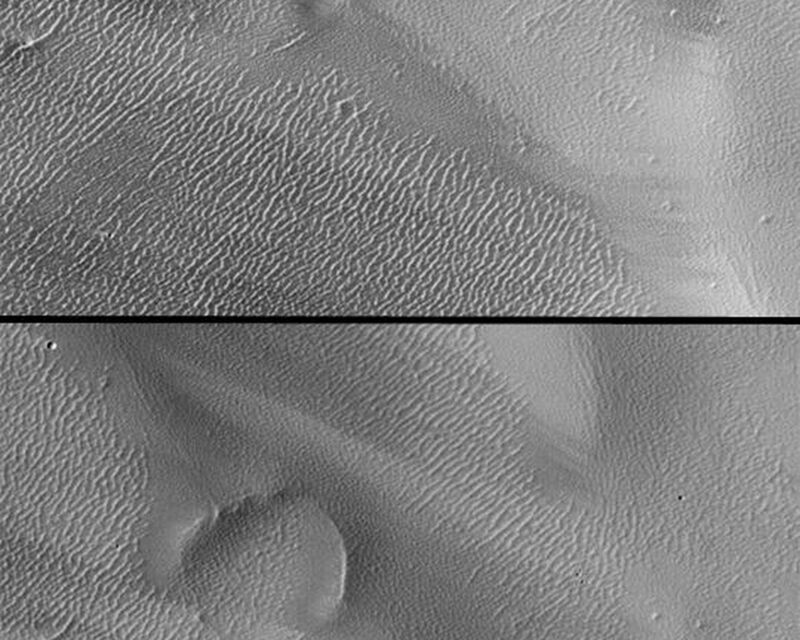 This pair of Mars Global Surveyor (MGS) Mars Orbiter Camera (MOC) pictures, taken 2 Mars years apart, show changes in dark streak patterns caused by wind movement of dust. 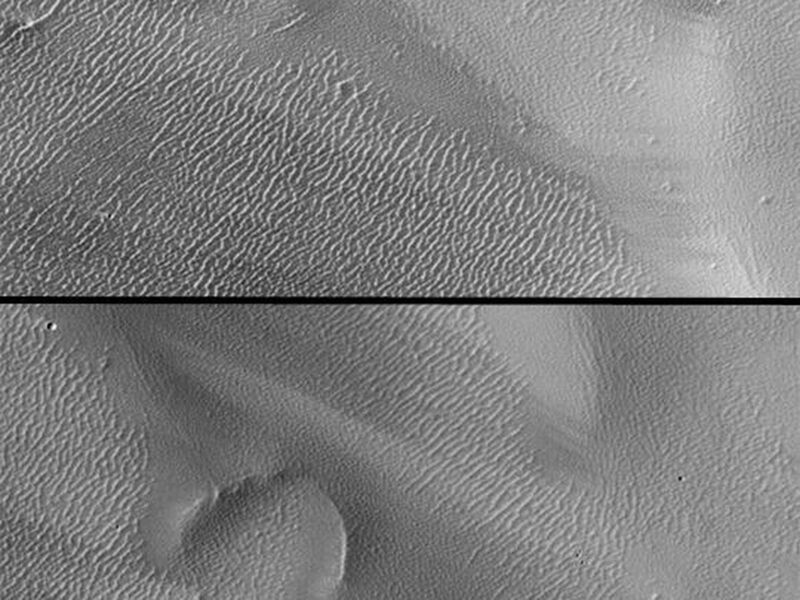 The top picture was taken in July 1999, the bottom one in March 2003. 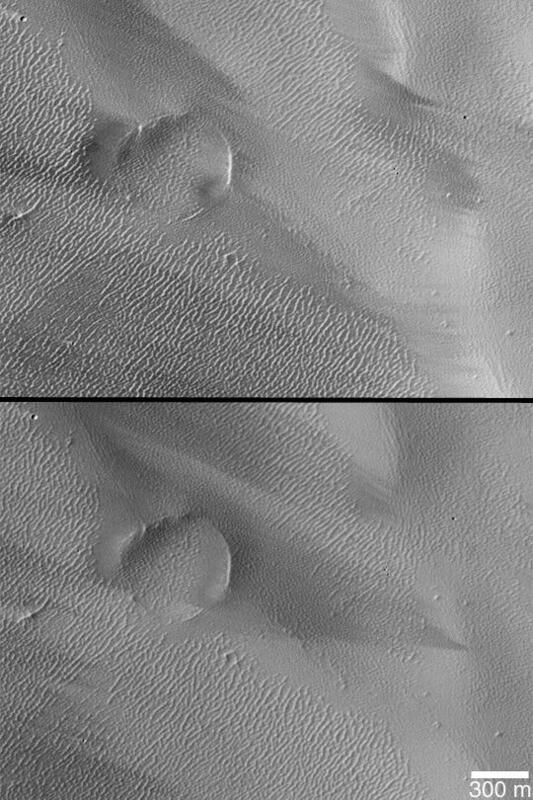 The pair of images are in Tharsis near 9.5°S, 128.5°W. Sunlight illuminates both from the upper left.